I hope everyone is well and happy. I’m sorry I missed my mid-week posting this week, mainly due to the fact that on the day I would have posted my dad wasn’t well and I had to help mum. Fortunately things are improving so I should get back on track again now. 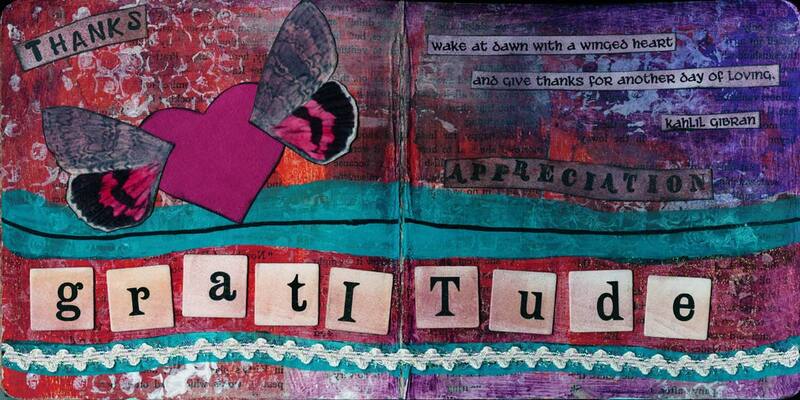 This spread is from my 2012 Revo-lution book and follows on from the last spread about Gratitude. I love the scratchiness of the page and I love the quote by Wayne Dyer. We live in a world where we are constantly bombarded by advertising telling us of all the things we should have to make our lives better. But the reality is we don’t need lots of things to make our lives full. Through much of the 1990s my husband was very ill. His Bipolar Disorder was out of control until he finally got a correct diagnosis and treatment that helped instead of aggravated the problem. 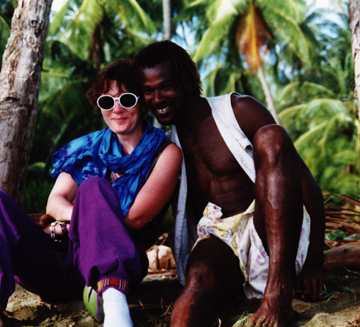 In 1999 we took a much needed holiday to the beautiful Island of Sunny Tobago. The choice of Tobago was really random but, as it turned out, could not have been better. We have come to love this tropical paradise and more especially the people who live there. In February 2007 we got married there on top of Mount Dillon. There were six of us at the wedding, The Minister, our friend Paul, Horace and Susan Jackson (two local friends), Tony and me. Tony wore shorts & a tee-shirt and I wore a Sarong. To my great surprise (as,to be honest, I really couldn’t see the point of getting married after 34 years of living together) it was a magical day. Have a good day you all and I’ll be back (hopefully) mid week. I hope everyone is feeling good. I’m really pleased to say I am feeling much better this weekend and also that I’ve been given a new project at work which should be more interesting than the work I’ve been doing for the past year (although I will probably have to still do that as well). I’m optimistic about it anyway, it seems like a good change for me. Here is another spread from my Revo-lution 2012 board book. Check out Gretchen Miller’s blog, Creativity in Motion, for more information about the thinking behind the Revolution book. Sometimes things in my life are not exactly as I want them to be and if I allow myself I can get to feeling hard done by. I’ve realised it does no good to just feel sorry for myself so my intention this year is to appreciate and feel gratitude for all the good things in my life. When I think about it seriously it is obvious to me the good things far out-number the percieved bad, or problem, things in my life. Thanks to everyone for your kind comments on my blog, I do try to answer everyone and visit your blogs too. 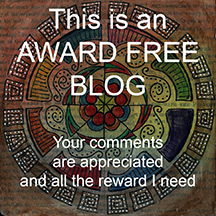 Recently I’ve been having problems leaving comments on Blogger blogs. I’m not sure if that’s a Blogger problem, a WordPress problem or (and this is much more likely) an AJ problem! I’ll try and get it sorted. Hope you are all being wondrously industrious with your creativity. Hope all is good with you, and those of you that are engulfed by snow – I hope you are keeping warm. Here is another spread from my Revo-lution board book. Check out Gretchen Miller’s blog, Creativity in Motion, for more information about the thinking behind the Revolution book, plus lots of other fabulous arty ideas! I had some good news yesterday, I won the Vintage Papers giveawy on Alicia’s Altered Bits blog. Yeah! That made me HAPPY! I am also going to participate in her Tallest Handmade Book in the World Project and I hope that some of you will too. It’s for a really good cause Alicia is starting a nonprofit art group for children with Asperger’s and Autism. Click on the link on my sidebar (Yes I finally figured out how to add a button to the sidebar, it’s taken me almost a year to do that!) and find out the details of the project. The end date of the project is 27 April 2012 which is her son Finn’s 9th Birthday, so there is still time to make some pages and get them to her. I’m sure she could do with some more pages, and I am sure the end result will be an awesome book we can all be proud of. I hope everyone is well and happy. I must admit I’m a bit under the weather at the moment and have spent most of today in bed. It will pass I just need to rest up for a couple of days, so I probably won’t go to work tomorrow. 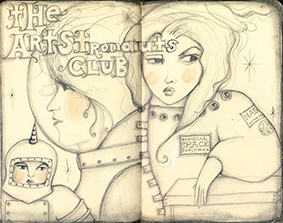 The spread above is from my 5″ x 5″ Revo-lution 2012 board book inspired by a workshop I did on 21 Secrets last year with Gretchen Miller. Gretchen has information and an e-book all about the Revolution available on her blog here. 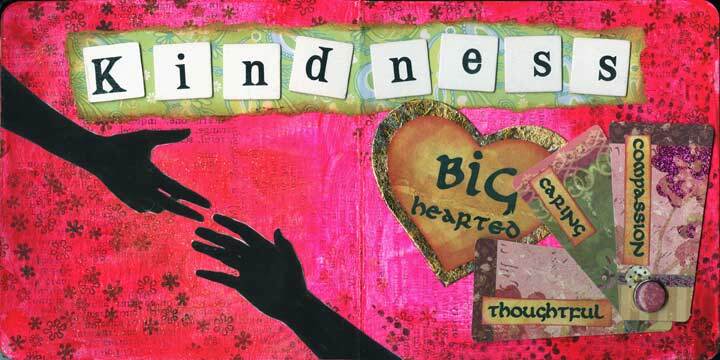 This image reflects my desire to become a kinder person. I really like the way it came out. I painted the pages with a pink fluorscent paint I found in my stash when I tidied up my work room recently. The paint must be nearly 20 years old because I remember I originally used it to paint on big fabric hangings that were used to decorate walls at clubs and parties where my husband DJ’d. When the hangings were lit with UV/black light the colours really glowed. Anyway despite its age most of the paint is still useable so I’ve moved it into my paint storage drawers for easy access. 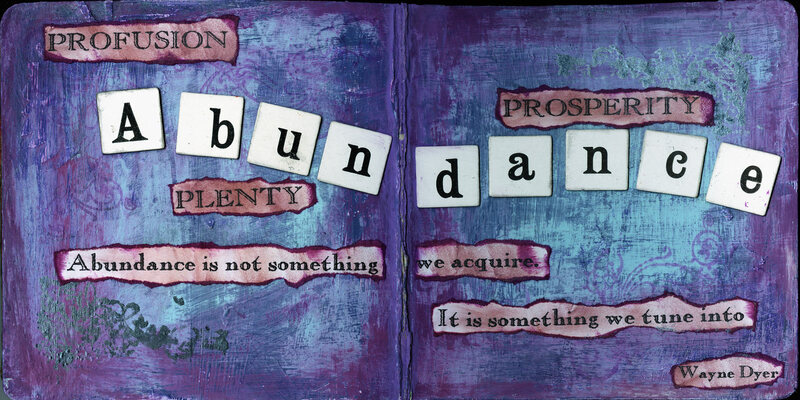 Also on this spread I transferred text from a book directly onto the page using gel medium. Thanks to Donna Downey for the tip on how to do that, it’s really easy and the results are amazing, although I must admit you can’t see them too well in the picture. I stamped over with my tiny flower and tiny dots stamps. The hands are cut from a magazine, the letters are from a word game I bought in a charity shop and are stuck on over a piece of scrap paper. The hearts were cut with my new BigShot 🙂 and I stuck the three words onto pre-made tags from K & Co which were attached with a decorative brad. That’s all for now folks, I’ve exhausted myself and need to go and lie down again for a while. I hope everyone is well and enjoying the new year. First of all I apologise because I have not been replying to comments on my blog, which I think is very rude and I hope you will forgive me. My only excuse is that things have been very busy. My dad went into hospital on Friday for what the doctor described as a minor operation. It was to remove a lump about the size of a tennis ball from the side of his face and neck. We already knew that the lump was benign but it was beginning to affect his swallow. There were some risks in him having the op. Dad is nearly 90. The doctor assured us that if all went well he would stay in hospital one night and then come home the next day. The op was done in a hospital in Portsmouth, just a few miles from where we live but with a stretch of water and a ferry crossing between. Mum wanted to be on the same side of the water as dad, so on Friday we all set off together and mum and I booked into a hotel overnight. We left him at the hospital at about 1pm and the next time we saw him was at 5pm. He was sitting up in bed, looking pretty OK. He has a three inch cut in his neck with 12 stitches, which does look quite dramatic, but the big lump is gone! Everything went well and he was allowed to come home yesterday. He is just feeling slightly sore but is suffering no after affects from the general anaesthetic. I think mum and I were more exhasuted than he was by the time we got home. I checked on them both today and everything is still fine. Phew! Apart from that I’ve had to update the history group website and prepare a presentation for next Saturday, now I have a quarterly report to write before next weekend and then there is a stack of about 100 historic photographs that someone lent to me a couple of months ago that I really must scan so I can return the originals. Still I’ve managed to do a little art and this is the second spread in my 2012 Revo-lution book which is about the changes I want to make in myself for my intention of becoming a better person. I’m not making New Year’s Resolutions any more, because to be honest they usually seem to be about giving up things and I rarely keep those kinds of promises. So this year I am trying something new. One of the workshops I did at 21 Secrets 2011 (now sadly ended) was Gretchen Miller’s Revo-lution workshop. 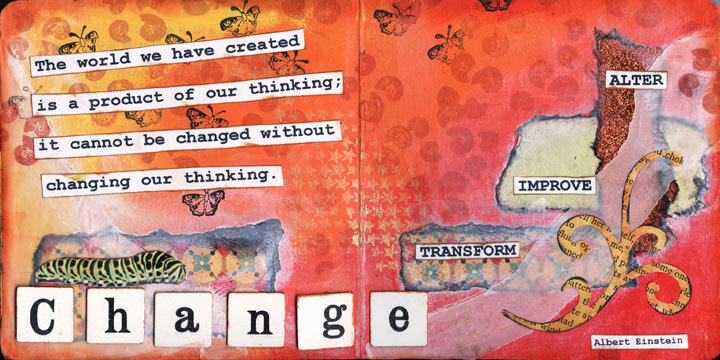 It’s all about exploring concepts of transformation, creating change and new possibilities through art. You concentrate on key words that have meaning for you and you make a journal page to show that meaning visually. You can find out much more about this process at Gretchen’s blog Creativity in Motion. It’s a great thing to do and I highly recommend it. I do believe it can be life-changing for the better. I made one Revolution book during 21 Secrets which concentrated on Joy, Bravery, Harmony, Creativity, Confidence, Authenticity and Serenity and now I am making a new book for 2012. 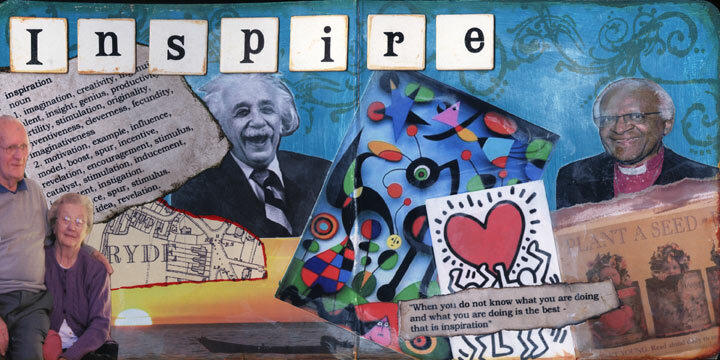 The first page is about Inspiration – I want to be inspired and I’d like to inspire others. The book is a 5″ by 5″ board book stripped back to the board and then gesso’d and I’ve used images that inspire me. The couple on the left are my parents who have loved and inspired me all my life; the sunset at Castara bay in Sunny Tobago (one of my favourite places on earth); a bit of an old map of Ryde, the town where I live, it has a fascinating history; Albert Einstein – who was a genius, deep thinker and often a little playful, I would have loved to have met him; Images of work of Joan Miro and Keith Haring, two of my favourite artists. The little image bottom right says Plant a Seed, because that’s what inspiration is – the potential for something great. I’ve included ArchBishop Desmond Tutu because he is another highly intellegent man, deep thinker, has a heart the size of a planet and a ‘wicked’ laugh. I would love to meet him. 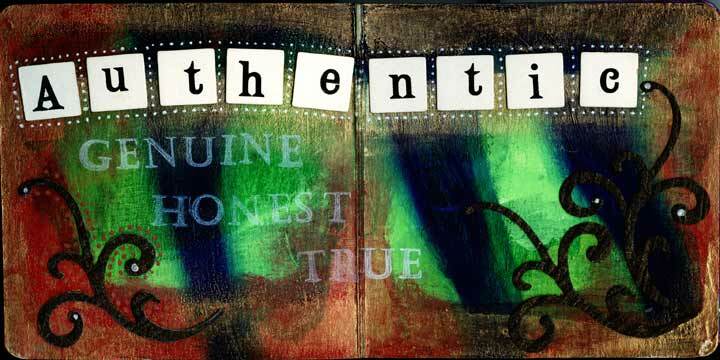 My good news is that I am now signed up for 21 Secrets 2012 so this year I will be participating for the whole 9 months, (big smile). I hope all your dreams come true in 2012. Here’s to another art full year.